It is necessary to occasionally remind our membership of the importance of protecting both the JDI trademark and the trademarks of other organizations. Here is an excerpt from our official JDI Website Guidelines. In this regard, it is very important that all Bethels and Grand Guardian Councils obtain permission to put copyrighted material on their website. 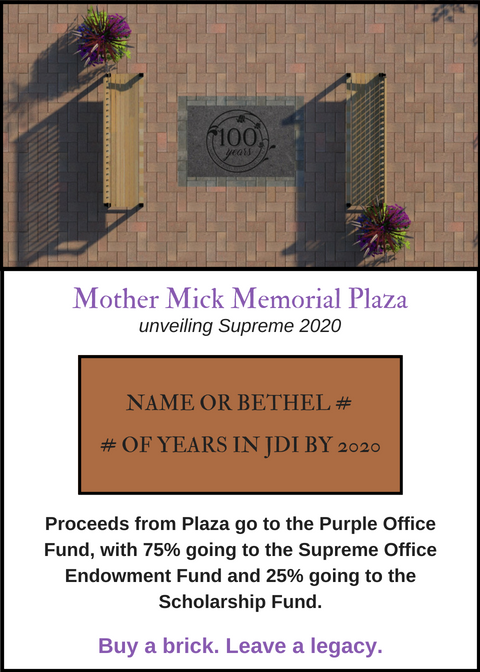 In particular, this includes the use of cartoon characters as Bethel and jurisdictional mascots… As pointed out in recent letter from the Board of Trustees, it is critical that JDI members, Bethels, and jurisdictions respect the copyrighted material and trademarks of other individuals, organizations and businesses. Please remove from your website any materials for which you have not received permission. If, however, you have obtained permission for the use of someone else’s copyrighted material, logo, cartoon figure, advertising gimmick, or similar material please send a copy of your permission letter to our JDI headquarters in Papillion. Until your permission letter is received at headquarters; your website link will be removed from the official website. We hope that all Bethels, Grand Guardian Councils and Jurisdictional Guardian Council will comply so that further action by the Board is not necessary. Thank you very much for your cooperation.